More than 150 scientists from 13 countries participated in the HudsonAlpha Institute for Biotechnology’s 3rd annual Immunogenomics conference held Sept. 28 to 30, 2015, on the 152-acre campus in Huntsville, Ala. Launched in 2012, the conference “encourages scientific dialog between leading researchers in the relatively new field of immunogenomics,” said Richard M. Myers, PhD, HudsonAlpha’s president and science director. Immunogenomics unites and takes advantage of the rapid-fire advances occurring in the fields of immunology, genetics and computer science technology. Through immunogenomics, scientists hope to understand how our DNA influences our body’s immune system’s ability to ward off disease. Conference presentations highlighted the immunogenomics of cancer, rheumatoid arthritis and other diseases as well as such new technologies as single cell genomics in which the DNA sequences of individual cells are deciphered and analyzed. “Our immune system is involved in virtually every disease, from breast cancer to rheumatoid arthritis to inflammatory bowel disease,” said Jian Han, MD, PhD. Han is also a faculty investigator and one of the 31 scientific leaders in immunogenomics who reported research findings at the conference. “Immunogenomics is one of the hot scientific fields of the moment,” said Bruce Beutler, MD. Beutler was awarded the 2011 Nobel Prize in Physiology or Medicine for his discovery of the receptor on immune cells that binds with a bacterial molecule known as lipopolysaccharide (LPS). The interaction between LPS and its receptor activates innate immunity, the first step in the body’s immune response. Beutler is a Regental Professor and Director of the Center for the Genetics of Host Defense at the University of Texas Southwestern Medical Center in Dallas. Although a large fraction of the human genome is dedicated to the immune response, uncovering these genes was a slow, tedious and costly process until now. Thanks to technological advances in deciphering the DNA code, scientists have now pinpointed about 19 percent of the immune system’s genes. “In three years, we’ll have identified 50 percent of them,” Beutler predicted, noting that understanding the biological mechanisms affected by these genes will be the next scientific hurdle. 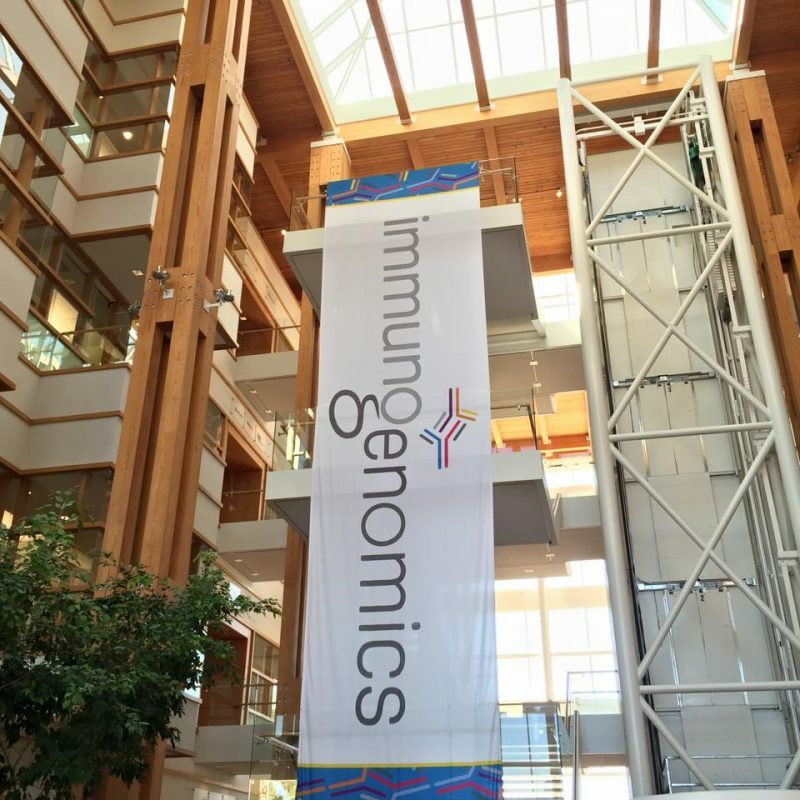 HudsonAlpha will host the 4th Immunogenomics conference Sept. 26-28, 2016.